Tencent will soon introduce a Siri-like digital assistant for WeChat, helping the messaging service’s billion-plus users with simple tasks such as playing music and hailing a ride. Dubbed “Xiaowei,” the assistant will link to a plethora of Tencent’s own services such as QQ Music, but it also hooks up with lite-apps run by third parties such as Meituan Dianping or Didi Chuxing that provide on-demand services from food delivery to ride-hailing, WeChat executive Zhou Jie told attendees at a company conference. It’s unclear when Xiaowei will be rolled out, or how much the Chinese company intends to build up the service. While voice-activated digital assistants are becoming a mainstream computing device in the US, thanks to Amazon’s Alexa and Apple’s Siri, they remain a novelty in China. Like fellow internet giants Alibaba Group and Baidu, Tencent sells smart speakers but this will be the first time it’s integrating its digital assistant into WeChat - by far China’s most popular social media platform. But it’s relatively late to the game. With Amazon and Google’s personal assistants non-existent in China, other local technology giants have moved to install their Siri-like services on everything from phones to fridges. Tencent’s move comes as growth in its core gaming business slows under intense government scrutiny, while upstart Bytedance draws user attention away through innovative video and news services. 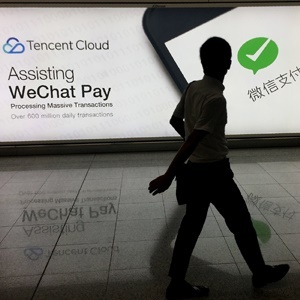 Tencent said on Wednesday it’s also focusing on accelerating monetisation of advertising on Mini Programs, a platform for pared-back external apps that sits atop its core WeChat messaging service. The company will experiment with more advertising formats while adding inventory, company executive Du Jiahui said during the conference. At the same time, it wants to get more companies to use its services. Tencent continues to battle with billionaire Jack Ma’s Alipay in the mobile payments market, a fight in which WeChat has proven a powerful tool. It’s now helping retailers attract users by supplying them with facial recognition technology and customer management services. * Fin24 is part of Media24, a subsidiary of Naspers, which owns a stake in Tencent.